Mind maps are perfectly used in brainstorming, which enables you to present ideas more effectively. 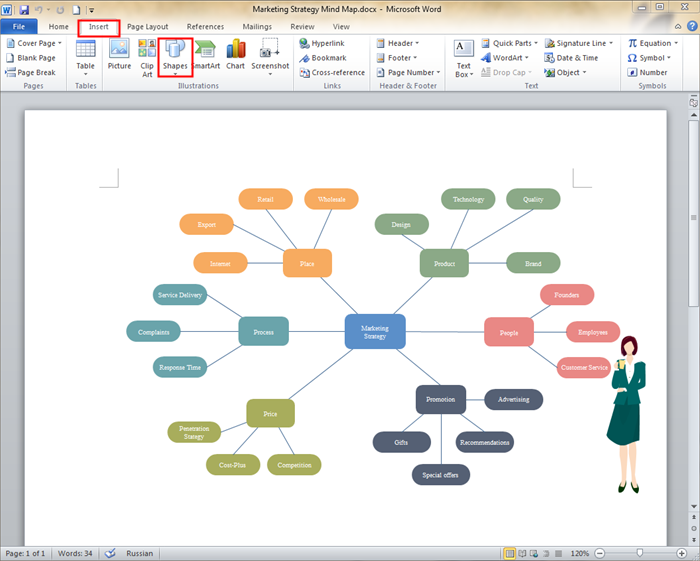 Use following tips to create mind maps on Microsoft Word. Microsoft Word is equipped with creation and drawing tools that are easy to use and navigate, so using Microsoft Word to create mind maps with basic shapes and flowcharts couldn’t be more easier. 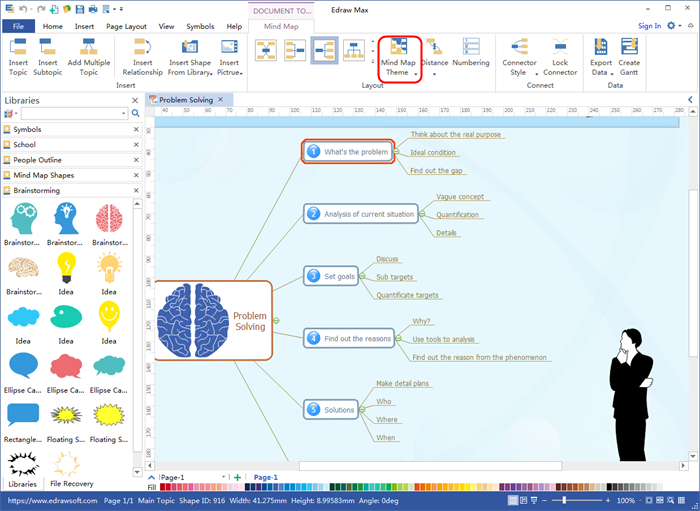 Simply follow steps below to get started to create a mind map in Microsoft Word. To add shapes: go to Insert tab > Shapes and choose shapes under the Basic Shapes section. To add text: click on Text Box in the Insert menu, select the type of text box you prefer. Type content in the text box. To connect shapes with lines, click Lines under Shapes to select line connector types you need. For better diagramming solutions, try Edraw Max, which is specially-designed for making mind maps, along with other kinds of diagrams. It’s different from Microsoft Word because it supports to collaborate with other team members on the cloud’s file storing and sharing capabilities. Plus, its import feature allows you to create a mind map with the data you select effortlessly. To add symbols to shapes: there are various symbols such as Numbers, Flag, etc specifically designed for mind maps, just drag them onto shapes. Tips: you can also insert pictures from your computer to shapes. 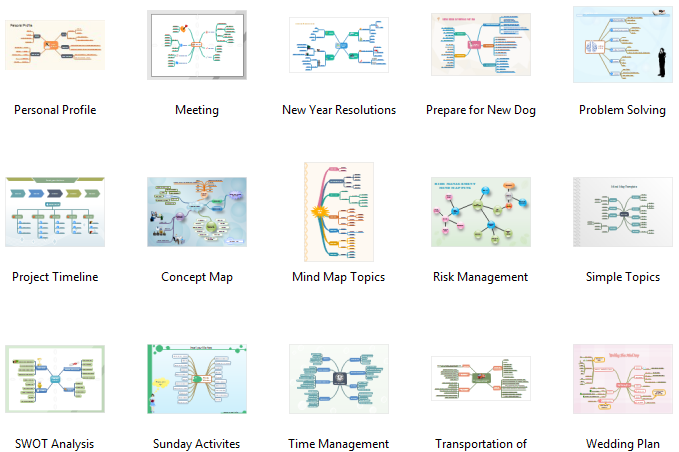 Abundant mind map templates are offered to help users make professional-looking mind map. 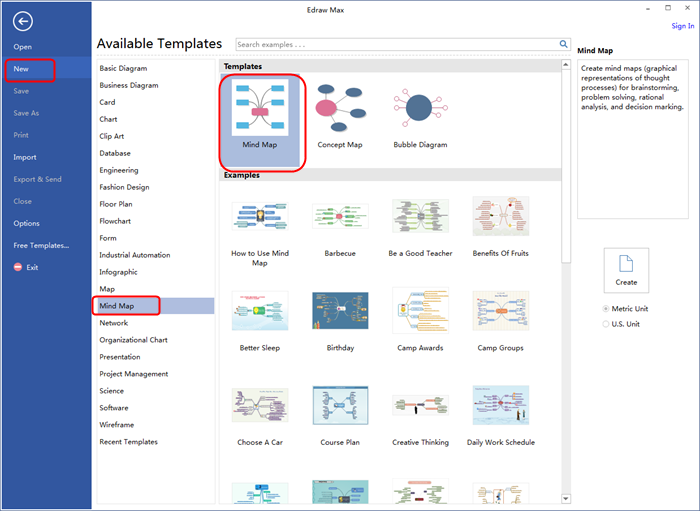 Everything becomes extremely simple with our mind map templates. They are easily editable, high on readability and rich on visuals.